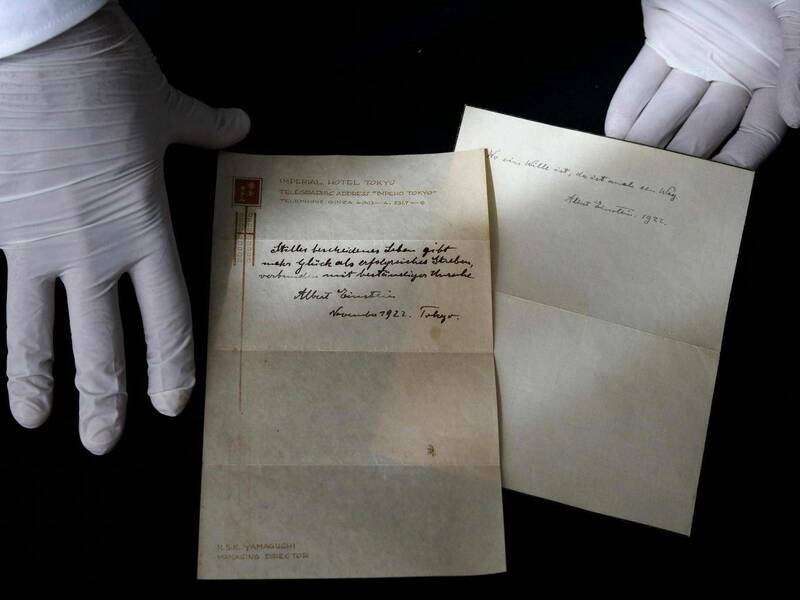 A letter by Albert Einstein, in which he calls God the "product of human weakness" and the Bible a collection of "primitive legends," is to be sold for between $1 million and $1.5 million. 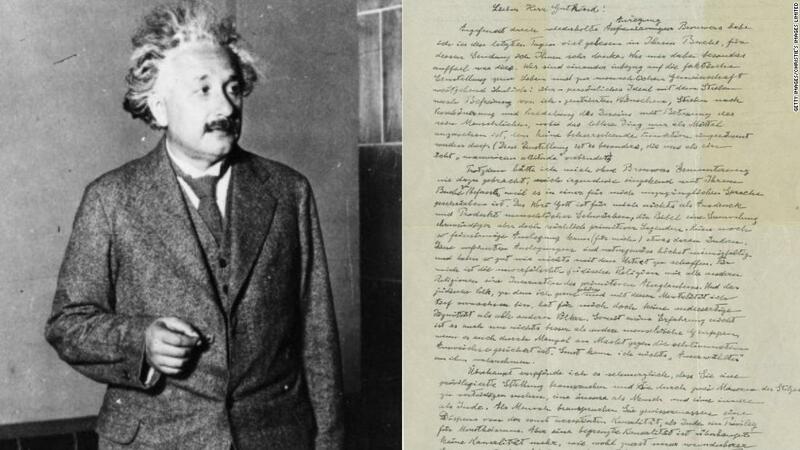 The letter, dated to January 1954, a year before the famous German theoretical physicist's death, is to be sold at Christie's auction house in New York City on Dec. 4, the Antiques Trade Gazette reported. 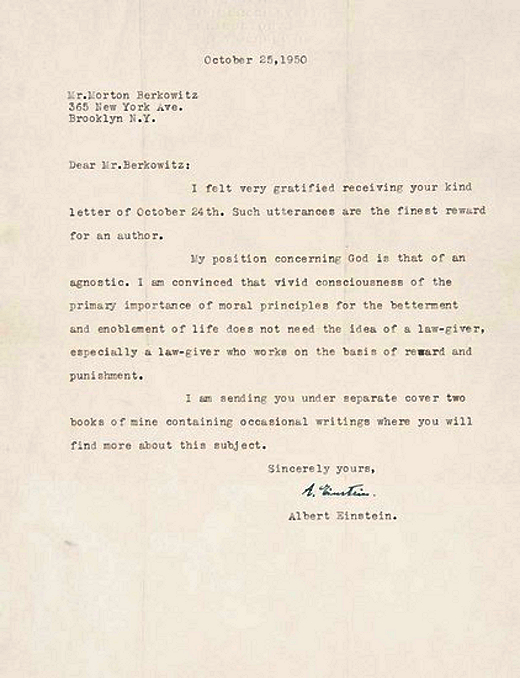 Expressing his thoughts to religious philosopher Erik Gutkind, Einstein wrote: "The word God is for me nothing but the expression and product of human weaknesses, the Bible a collection of venerable but still rather primitive legends. No interpretation, no matter how subtle, can (for me) change anything about this." As a Jewish person, he also questioned the biblical narrative that Jews are God's "chosen people." "The Jewish people to whom I gladly belong, and in whose mentality I feel profoundly anchored, still for me does not have any different kind of dignity from all other peoples," he said. Peter Klarnet, senior specialist books and manuscripts at Christie's, explained that the letter "concerns themes that have been central to human enquiry since the dawn of human consciousness, and it is one of the definitive statements in the Religion vs Science debate." Einstein's views on religion have been the subject of much debate over the years. In other letters, he has expressed a more positive attitude toward spiritually. In one letter from 1936, written to a young girl in Sunday school class, he talked about the role of prayer. While at first explaining that a scientist cannot believe that events can be influenced by prayer, if defined as a supernaturally manifested wish, he admitted that "our actual knowledge of these forces is imperfect, so that in the end the belief in the existence of a final, ultimate spirit rests on a kind of faith." "Such belief remains widespread even with the current achievements in science. But also, everyone who is seriously involved in the pursuit of science becomes convinced that some spirit is manifest in the laws of the universe, one that is vastly superior to that of man," the scientist told the girl at the time. "In this way the pursuit of science leads to a religious feeling of a special sort, which is surely quite different from the religiosity of someone more naïve," he added. In another letter in 1950, he specified that he was an agnostic. "My position concerning God is that of an agnostic. I am convinced that vivid consciousness of the primary importance of moral principles for the betterment and ennoblement of life does not need the idea of a law-giver, especially a law-giver who works on the basis of reward and punishment," he wrote at the time.